ComeTrue® Print software is for slicing STL and VRML file and printing outputs of slicing result. The main display is separated in 3 parts: top view, front view and slicing result. It allows basic geometric operation, ex. Translation, scaling, rotation and mirror functions. In the slicing result display, it allows print preview in slicing result. 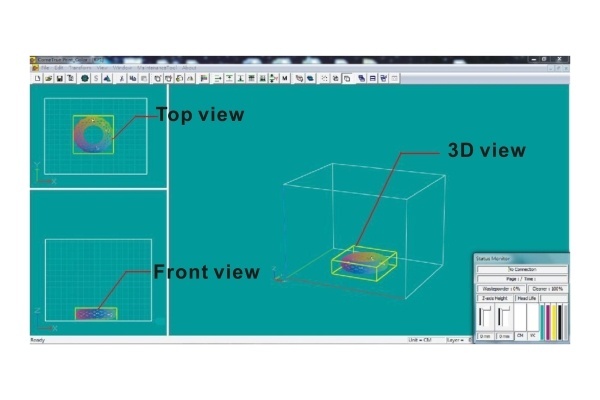 In addition, it allows data save and load for inputting multi STL and VRML printings. ComeTrue Print only can input STL and VRML 2.0 format .wrl file. Join and get more full-color 3D printable models here!